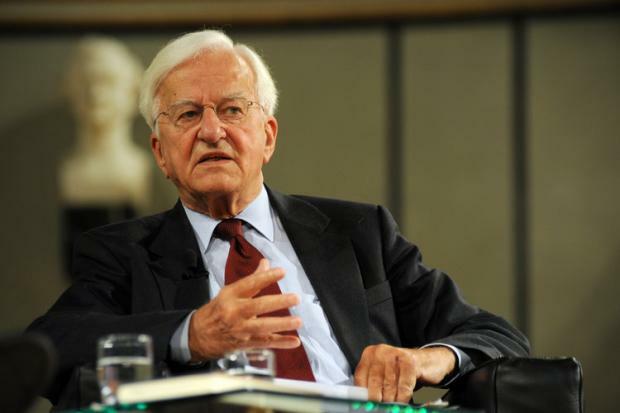 German ex-President Richard von Weizsaecker has died at the age of 94, the president’s office has announced. Richard von Weizsaecker’s 10 years in office, from 1984 to 1994, spanned the period of German reunification. A soldier in the German army in World War Two, Richard von Weizsaecker won widespread praise for his efforts to persuade Germans to confront their Nazi past. A member of the Christian Democratic Union, he also served as the governing mayor of West Berlin in the 1980s. Announcing Richard von Weizsaecker’s death, current President Joachim Gauck said: “Richard von Weizsaecker stood worldwide for a Germany that had found its way to centre of the democratic family of peoples. Richard von Weizsaecker was first elected president in 1984 and his speech a year later on the 40th anniversary of the defeat of Nazi Germany won him widespread respect. He told the West German parliament: “All of us, whether guilty or not, whether young or old, must accept the past. We are all affected by its consequences and liable for it. Anyone who closes his eyes to the past is blind to the present. The same year he became the first West German head of state to visit Israel. Richard von Weizsaecker was elected unopposed to a second term in 1989, overseeing in the largely ceremonial role the initial years of a reunited Germany.